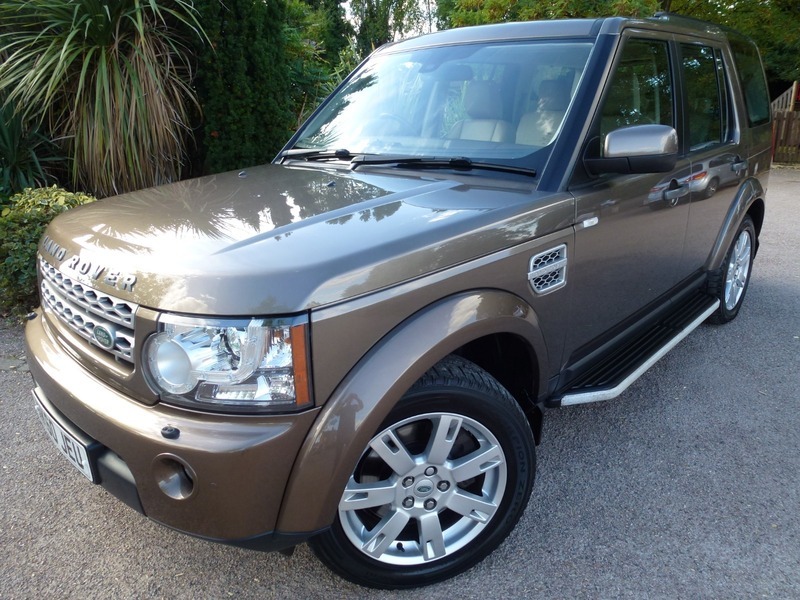 **DRIVES & SMELLS LIKE ITS JUST DROVE OFF THE PRODUCTION LINE, FULL LAND ROVER SERVICE HISTORY, (inc TIMING BELT CHANGE 61k) HISTORY, 12 MONTHS WARRANTY inc PARTS, LABOUR & ALL ELECTRICS IS INCLUDED + FREE 12 MONTHS AA BREAKDOWN COVER** Full Tan Leather with rear covers & Separate Protective Bars, Bluetooth Telephone Connectivity, Convenience Pack, Cruise Control, HDD Navigation System, Heated Front Windscreen, Park Distance Control (PDC), Roof Rails, 19'' 10-Spoke Alloy Wheels, 7 Seat Pack, Bright Pack, Terrain Response System, Anti-Lock Braking System, Automatic Climate Control, DAB (Digital Audio Broadcasting), Multiple Airbags, Dynamic Stability Control (DSC), Electric Heated Door Mirrors, Electronic Parking Brake, Electronic Traction Control (ETC), Emergency Brake Assist (EBA), Gradient Release Control (GRC), Heated Seats, Hill Descent Control (HDC), Integrated Vehicle Dynamics, Perimetric Protection (Alarm). Finance Rates From 2.99%, P/X Possible. COMPLETE WITH BOTH MASTER KEYS ALL SECURITY CODES & HANDBOOKS + NEW SERVICE & MOT BEFORE DELIVERY (where applicable), PLEASE TELEPHONE & AVOID EMAILING WHEN INQUIRING ABOUT OUR VEHICLES AS STOCK IS IN & OUT ON A DAILY BASIS. Finance Rates From 2.99%, P/X Possible.